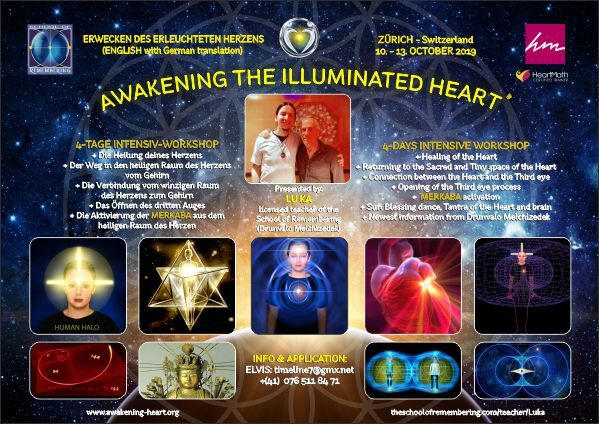 Thank you for your interest in the Heart awakening workshops. Together we can flow through the beautiful and subtle waves of the heart and remember how easy it is to live from your Heart and to activate your Merkaba on a natural way. Maybe the time has come when we meet again on our road of Remembering who we really are." - Lu Ka completed Drunvalo�? 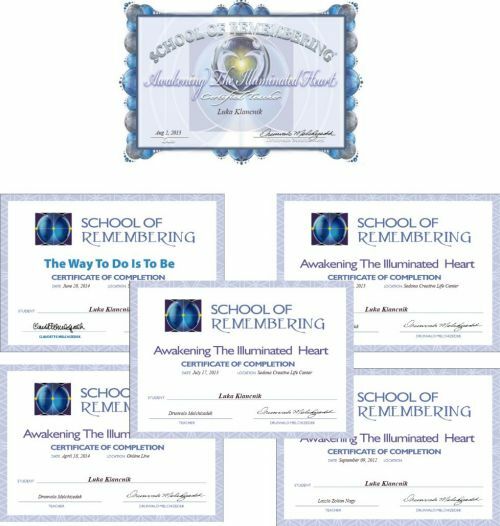 ?s School of Remembering® in 2013 and is a licensed teacher of the workshop Awakening the Illuminated Heart®. - Lu Ka is an author of the "Shamanic Heart Healing®" workshops which extends from beginner Level 1 to teacher training Level 5. - He has also assisted on Drunvalo's new workshops: "Cosmic Grace - Return to Source!" and "The Way to Do is to Be". 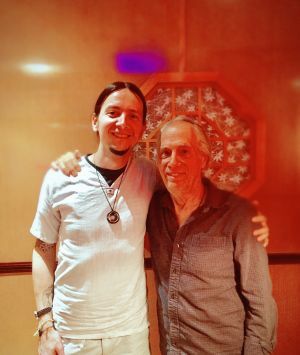 - So far, he has facilitated more than 120+ "Awakening the illuminated Heart®" workshops and more than 130+ "Shamanic Heart Healing®" workshops. Occasionally he creates smaller events and one day workshops. - Lu Ka is also leading the "Awakening Heart Sacred Journeys" to Egypt, Sedona AZ, Peru and other sacred locations. - Upon the call of the Higher Self he is also available for one-on-one private sessions, which include Shamanic Heart Healing®, Consulting and Imagery. - Lu Ka is mostly teaching in Asia and Europe. His schedule is really full, as he teaches almost every week of the year. - For student's testimonials click here. How Lu Ka describes his life today: "I help people to remember what they already know. People call me a teacher, but actually I am more of a catalyst of awakening. I create workshops where we can remember and experience Oneness through our Hearts. 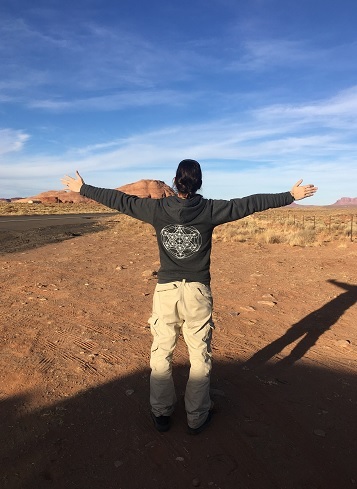 And I am doing what I was doing even before I came to this planet, I am bringing people to sacred places to reconnect to their true nature and to help them with their awakening." Lu Ka started to learn about Drunvalo Melchizedek's work around the year 1999. 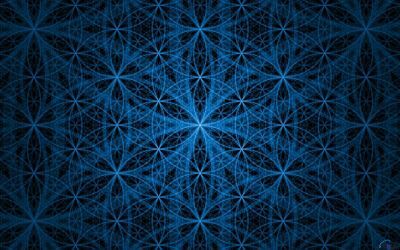 Since then he devoted his life deeply studying all about Sacred Geometry, Sacred Mathematics, Alternative history of humanity, Merkaba Meditations and their relationship to sound, consciousness and Life in general. In the year 2012 Drunvalo appeared in his dream telling him he must come to Sedona USA to meet him. Lu Ka met Drunvalo for the first time and this was another turning point in his life. Same year he went to Egypt on December 21st. This sacred journey activated his memory of ancient Atlantis, pre-dynastic Egypt and he remembered his life on other planets. He devoted his life into service to the Universe. Very soon LuKa finished all School of Remembering teacher trainings, was assisting other teachers and moreover also assisted Drunvalo two times (on the "The way to do is to be" and "Cosmic Grace" workshops). He started to teach workshops almost every week. In the year 2017 he had personally facilitated more than 100 ATIH workshops, which gave him a reputation of a most active teacher in the School of Remembering. He helped more than 1000 students to reach their heart and to remember who they really are. LuKa's students describe LuKa's workshops as really direct, heart based, efficient and life changing. And his heart-based approach change their life. 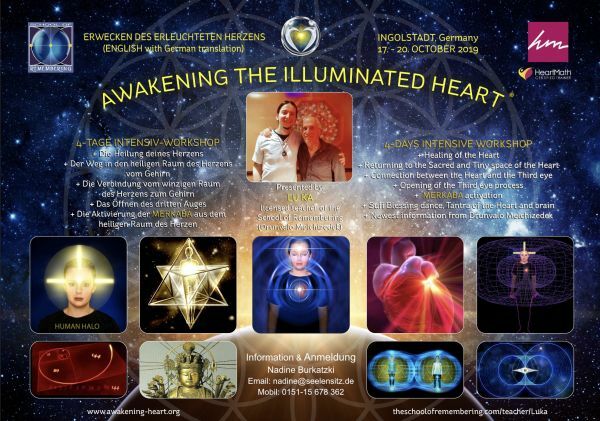 More information about the AWAKENING THE ILLUMINATED HEART® workshop here. LuKa was practicing what we call today "shamanism" since he can remember. He went through many shamanic trainings and retreats and mostly what he was missing in the teaching of other teachers was using the heart and respecting the will of the Higher Self. LuKa understands Shamanism as being a universal practice to work with different aspects of consciousness. He was exploring different traditional approaches as well as modern shamanic practices. LuKa is a universal shaman and is not teaching any specific way or tradition. He rather sees shamanism as a spiritual practice which is always individualized by a person. That is why Shamanic Heart Healing® includes same guidelines to healing as is being presented by Awakening the illuminated Heart® workshop (on the second day). Furthermore, LuKa's approach to all of his spiritual practices is not to use any plant medicine, regardless of a modern popularity of Ayahuasca and others. 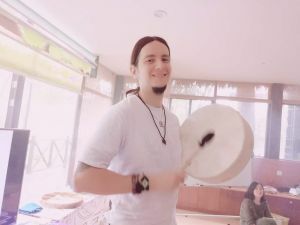 He encourages his students to only use their personal consciousness and rhythmical sound, like a drum, to come into a shamanic state (also called Theta state). He likes to laugh saying that "the only drug you will get from me is chocolate." 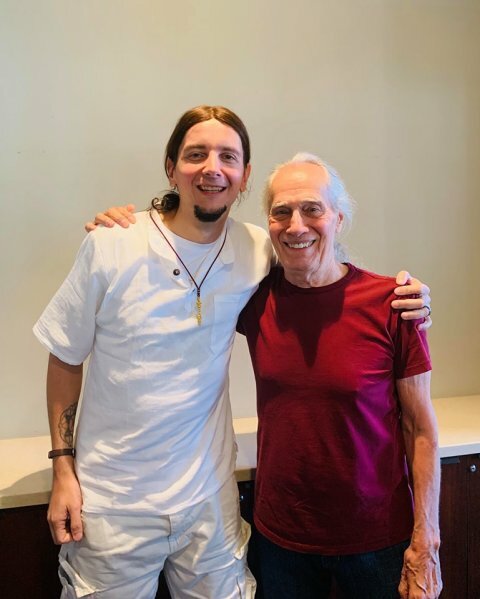 LuKa has made a full circle in developing the Shamanic Heart Healing® workshop, through using a "step by step" and "explain-show-practice" approach. He created 5 levels of the shamanic training, where Level 1 is a beginner level and Level 5 is a teacher training level. 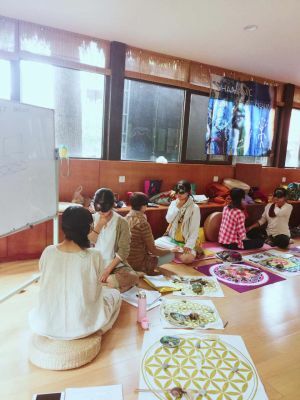 Students who finish his shamanic workshops mostly receive more than they expected and receive confidence in doing shamanic healing and working from the heart instead of ego. LuKa dedicated all of his time to bring message to those who are ready to hear and answer the Call, to remember that the Heart is the center of all creation. More information about the SHAMANIC HEART HEALING® workshop here. Sacred Geometry is part of LuKa's life. He likes to describe it as a building structure of the universe and through experience we can understand ourselves more and see the world from new perspectives. Maybe because LuKa being more of a "right brain" person he succeeded to combine the practical and theoretical approach to Sacred geometry in a 4-day workshop. And because all LuKa's workshops are embraced in a Sacred Space of the Heart atmosphere, this workshop is no exception. This workshop will have a premiere in May 2018. 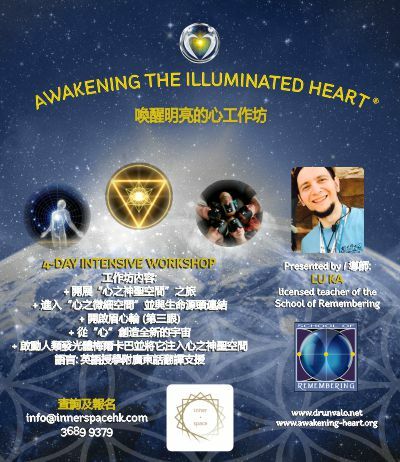 More information about the SACRED GEOMETRY OF THE HEART�?� workshop here. 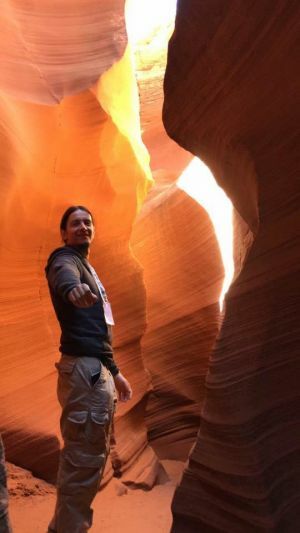 And last but not least, you can also join LuKa on his journeys to sacred lands of Egypt, Sedona AZ and Peru. He likes to combine his journeys with information and experience of the Heart, Mystery schools and re-connection to the Earth-Sky-Heart. "With all of my Heart and Soul I would like to share this ancient knowledge with those, who wish to live in Love and Harmony. The Tiny space of the Heart is the place where the whole creation of the Universe takes place and where share peace in love to all life everywhere. When we are there our ego moves back and our life becomes simple and beautiful. Maybe the time has come for you to remember." Lu Ka is a wonderful teacher. He is leading the workshop with great authenticity and always speaks from the heart. Thank you Luka for this workshop it was great. Love this workshop so much! Thank you Luka!!! I heard about the ATIH course from my HK friends in June this year. I hardly knew neither the course nor Lu Ka. But I heard of Flower of Life. They highly recommend me to take the course. I told them I would consider next time When Lu Ka in HK. Two months later in August, my friends told me that Lu Ka would come to teach the ATIH in MACAU !!! It was a miracle to have this course and Lu Ka in Macau. I sent my wish to the cosmic. When I least expected it happened. Lu Ka is an amazing teacher. He makes things so easy and simple that everyone can understand and follow. Imagine I have only read FOL book one three weeks ago and book two 1/3 only. I can't remember the last time I felt so much love and compassion floating in a room. Of most importance, Mer Ka Ba is something we can make use of in our daily life. I actually can feel how my body and mind have changed and benefit. Thank you SOR. Once again, amazing teacher and amazing team members. I highly recommend Mr. Lu Ka and his workshop. Mr. Lu Ka is definitely an excellent spiritual mentor. I would higly recomend Luka ATIH worshop for everyone even for people that dont feel energy or have experiences its amazing dont miss it.